Coriander Seed Oil (Russia) - Ultra International B.V.Ultra International B.V. 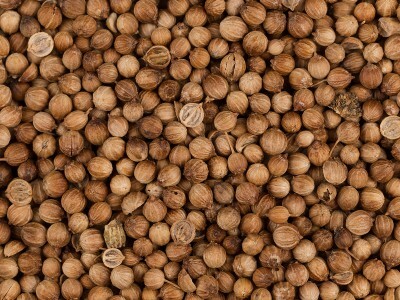 The dry fruits are known as coriander seeds. Coriander is famous worldwide as a spice in many foods as well as beverages. India is the largest producer but also a large importer to supplement their large domestic requirements. Over recent years the increased demand for seeds has meant less has been further processed into oil. The global seed prices have increased significantly in recent times ensuring the oil prices follow. Coriander essential oil consists of compounds like Borneol, Cineole, Cymene, Dipentene, Linalool, Phellandrene, Pinene, Terpineol and Terpinolene, and these are all attributes that contribute to its place in the healthcare markets. Some health benefits of coriander essential oil can be attributed to its properties as an analgesic, aphrodisiac, antispasmodic, carminative, depurative, deodorant, digestive, fungicidal, lipolytic, stimulant and stomachic substance. Botanical name: Corriandrum sativum L.